In 1931 an architecture competition for a new town hall in Sönderborg was announced. The architect Holger Mundt designed the town hall, which was constructed in 1932–33 and became a great achievement in Danish neoclassicism. 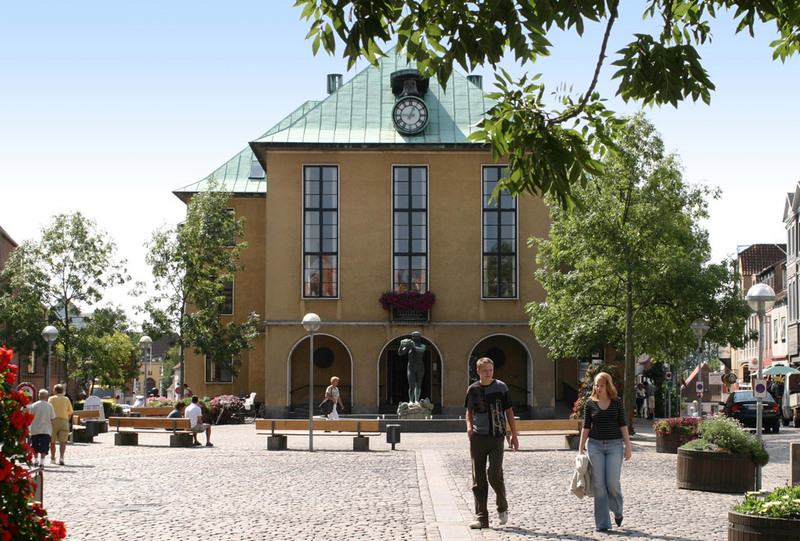 The illustrious building is located at the town hall square, and is used as an administrative centre for Sönderborg Municipality. Throughout the years additional buildings and renovations have taken place and the latest project was to oversee the ventilation. In order to create a pleasant indoor climate, it was decided to have comfort cooling in the building. A cooling unit placed on the roof would alter the building’s exterior. The project resulted in a unit with our integrated ThermoCooler HP reversible heat pump, as well as several units from our Envistar Top range with the integrated EcoCooler cooling unit. The contractor and the property owner saved a lot of money, as the floor area could be used effectively, and the installation costs could also be lowered. A DX coil and outdoor condenser were not needed as the entire cooling process is integrated into the air handling unit. This meant that the building’s exterior architecture could be preserved without disruptive noise in the town centre.